Buzzsumo helps you find the most shared content and key influencers in your industry. With Buzzsumo, you can find out the most discussed topics in your niche, find out who the key thought leaders are and keep track of what your competitors are doing. You can find out what content is working well in your industry and adapt and build your content ideas around this. 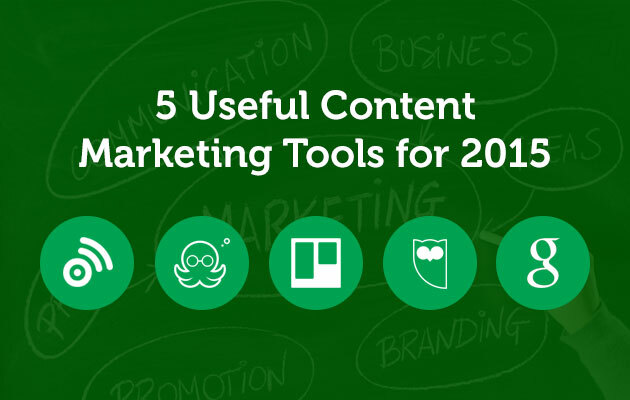 It’s quick, clear and easy-to-use, and regarded as an essential content marketing tool by many top digital marketers. Edgar is a social media scheduling and management tool which has been gaining popularity recently. This is an app which can store, categorise and publish your social media updates on a schedule which you choose. Edgar categorises your updates in a ‘limitless library’ so that they are not thrown away and can be referred to again. You can design a posting schedule for each social network and amend it to make your posts get the most that they can from each one. Trello is a useful content marketing project management tool which allows you to create tasks for different projects and assign them to different people. It’s a ‘free, flexible and visual way to organise anything with anyone’. You can upload files, set deadlines, create to-do lists, add comments and much more. Trello has become very popular due to its ease of use and focus on visual organisation. Hootsuite is a leading social media management dashboard which allows users to track and manage their social media channels. It allows pre-scheduling so that users can update their platforms at all times. You can also measure ROI right from the dashboard. With social media analytics and an overview of how your audience is responding, Hootsuite can be a useful tool to use when engaging customers through social media. Google Alerts allows you to easily ‘monitor the web for interesting new content’. Google Alerts emails you directly when a topic of your choice has been mentioned on the internet. Google Alerts is convenient and easy to use, and allows you to keep up-To-date with what’s happening in your industry, find out what your competitors are doing and therefore help you come up with interesting and relevant content marketing ideas. If you need some help with your content marketing strategy in 2015, why not give us a call today?